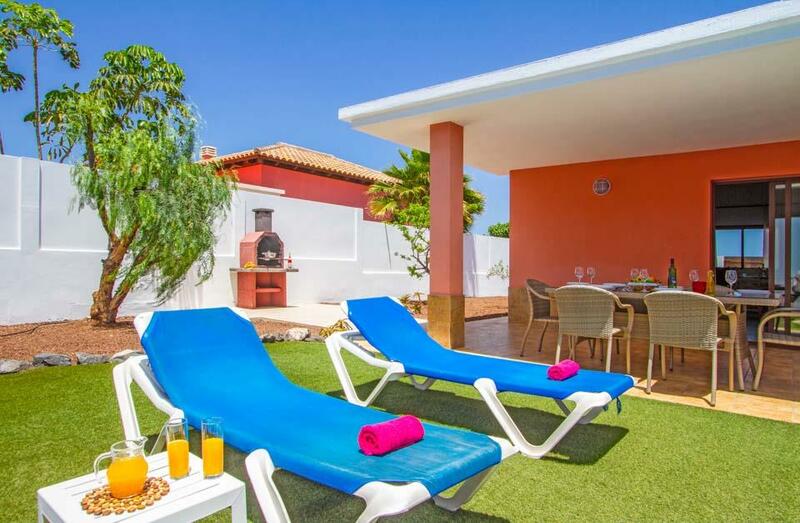 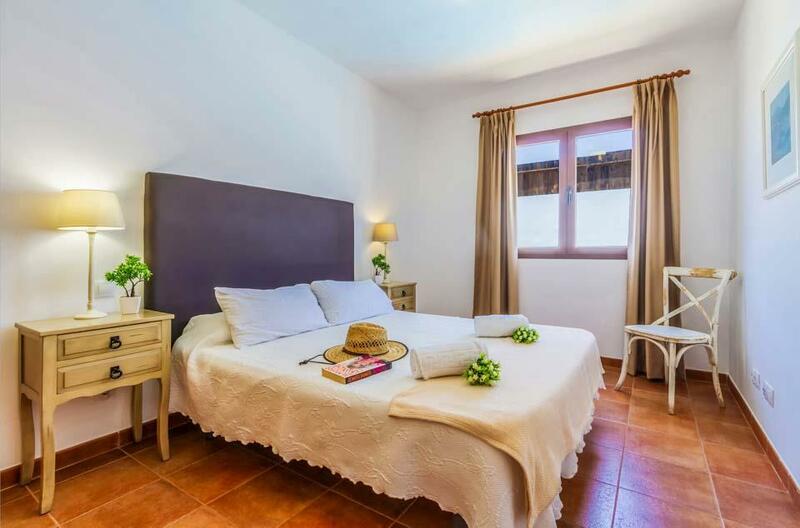 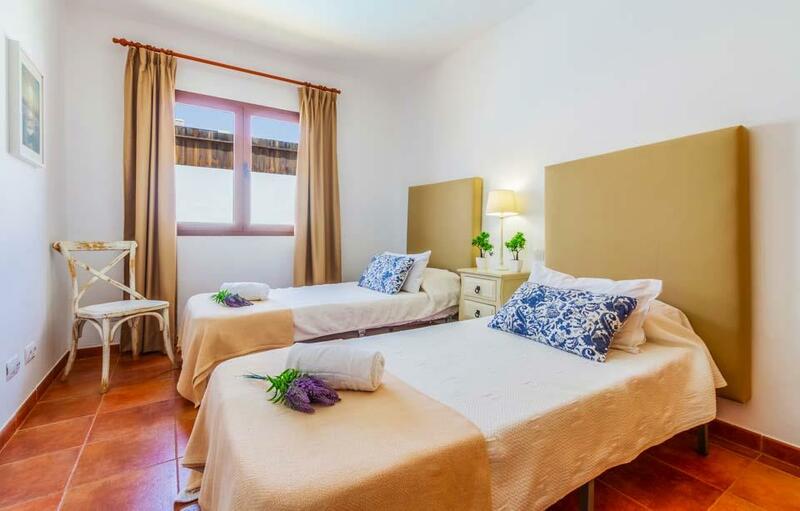 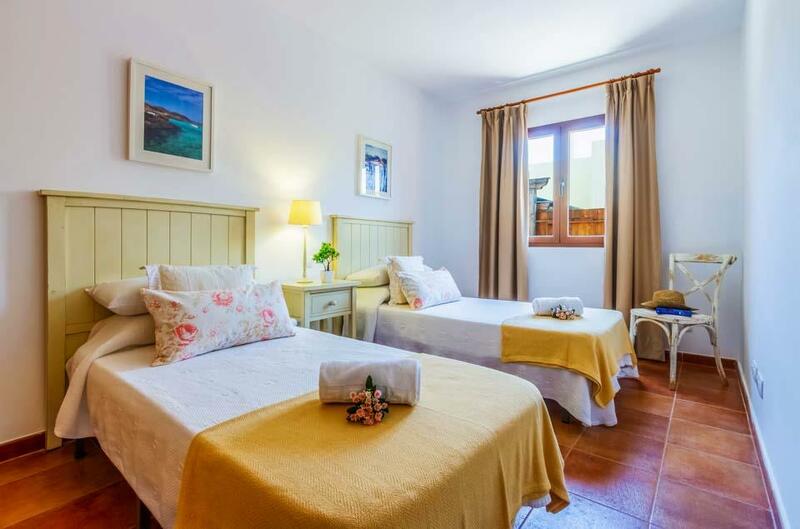 Villa Yalira is located close to the lively resort of Caleta de Fuste and, with a good selection of bars, restaurants, shops and the long sandy beaches all less than a mile away, this villa is great for getting out and about. 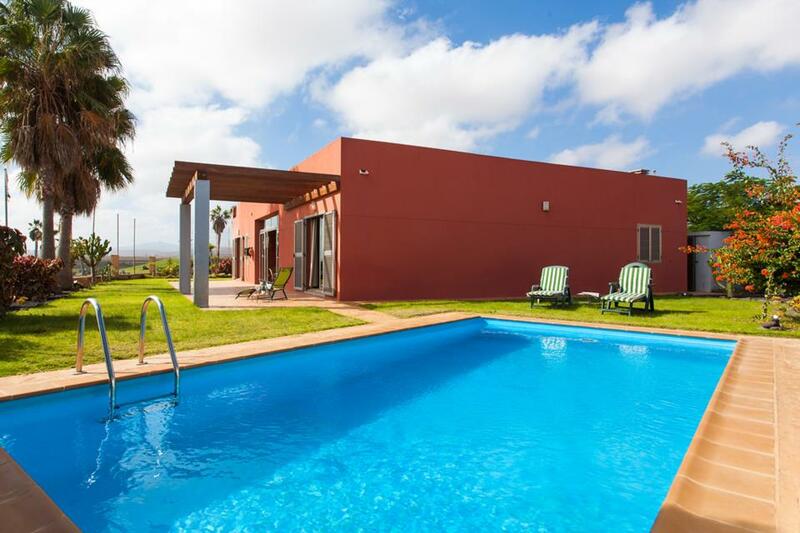 If golf is what you fancy, the Fuerteventura Golf and Golf Salinas de Antigua courses are less than two miles away. 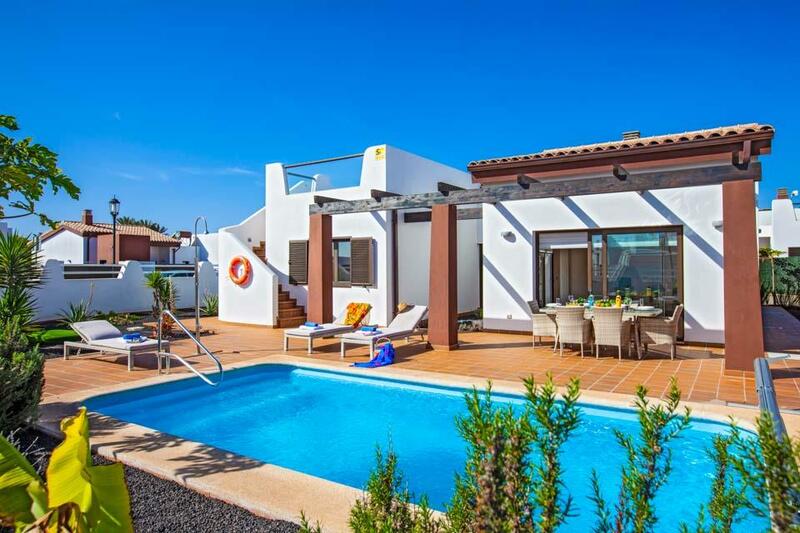 Back at the villa, you can enjoy the private swimming pool, a pleasant outside area and modern day interiors. 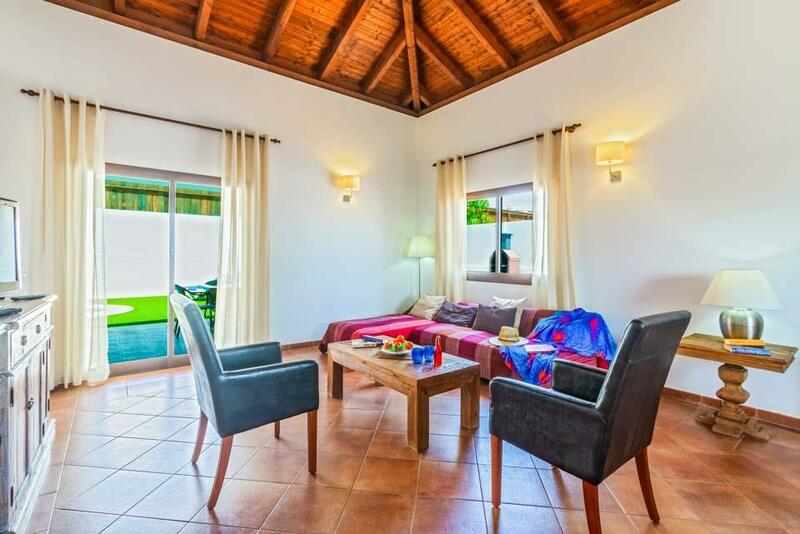 Inside, the spacious living and dining area offers pretty high-beamed wooden ceilings and all mod cons, along with two twin bedrooms and one ensuite double. 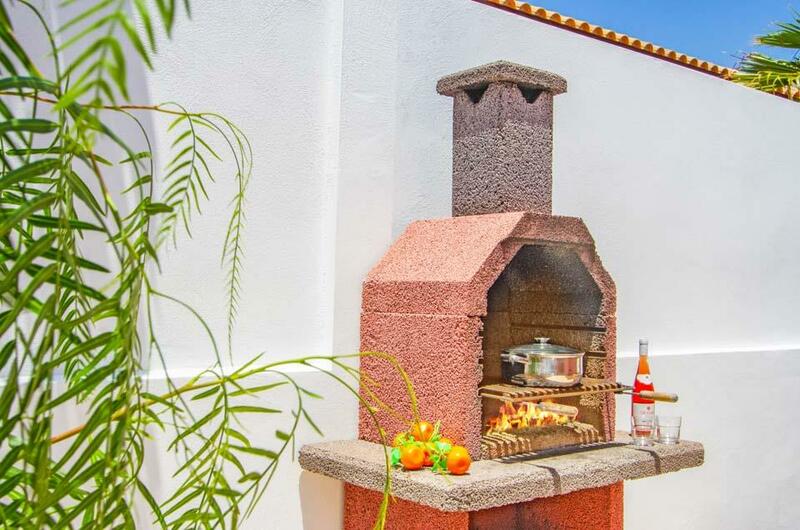 Step outside into the villa grounds and enjoy a refreshing dip in the pool to cool off from the hot Spanish sun, so why not finish off the day with a tasty BBQ and a nice glass of locally produced wine? 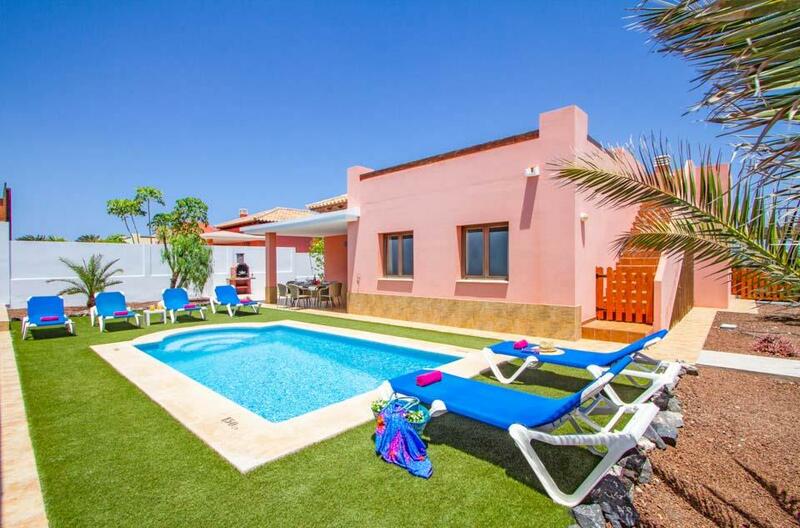 If you fancy getting out and about, Corralejo offers two shopping centres; El Campinario and Las Palmeras where you can buy gifts to take home, or why not try one of the local beach bars where you can sample local cocktails? 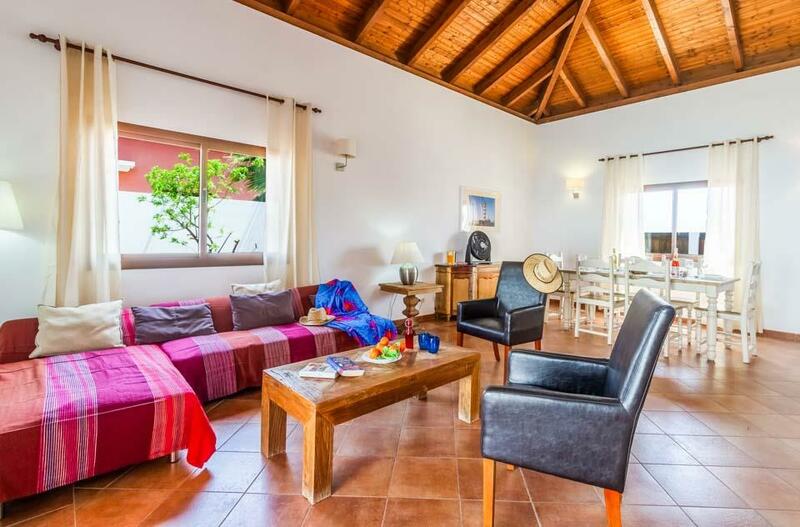 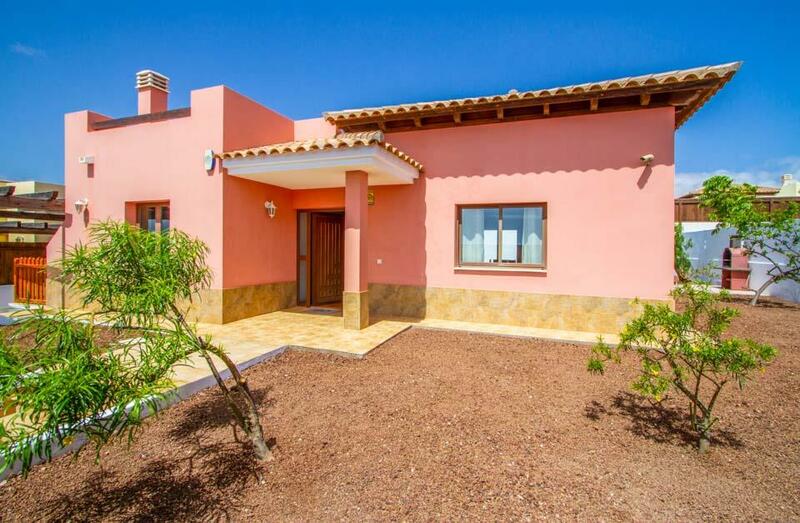 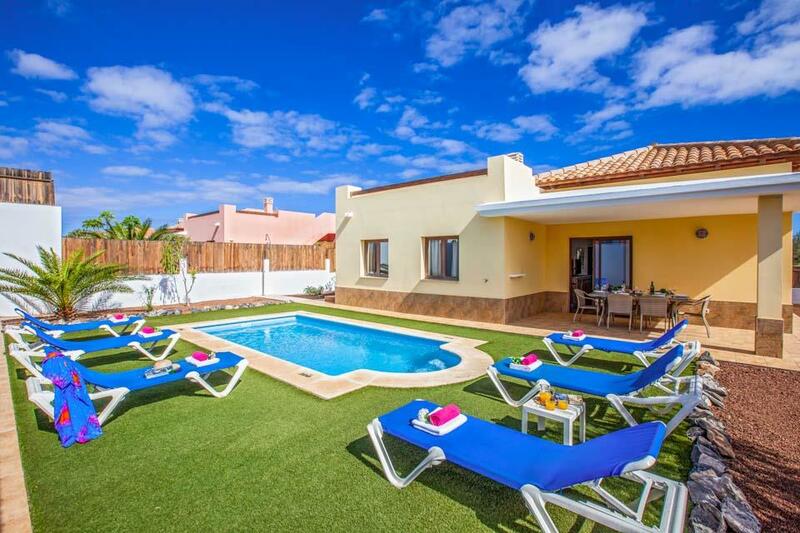 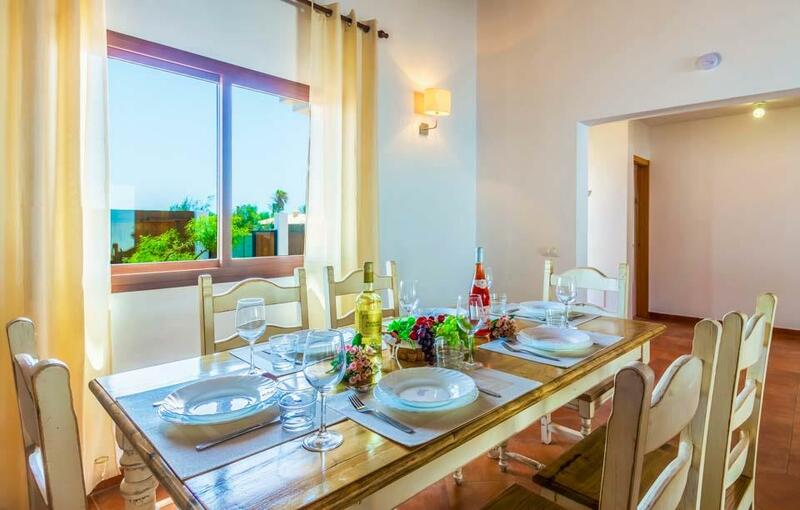 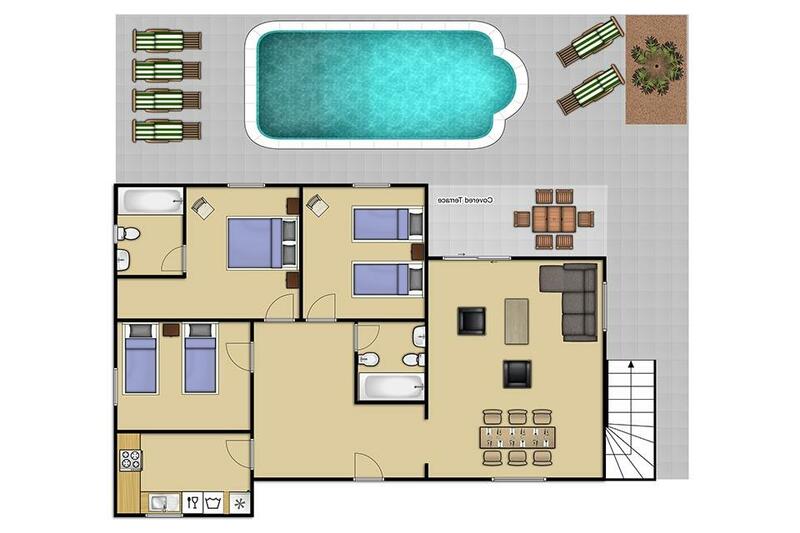 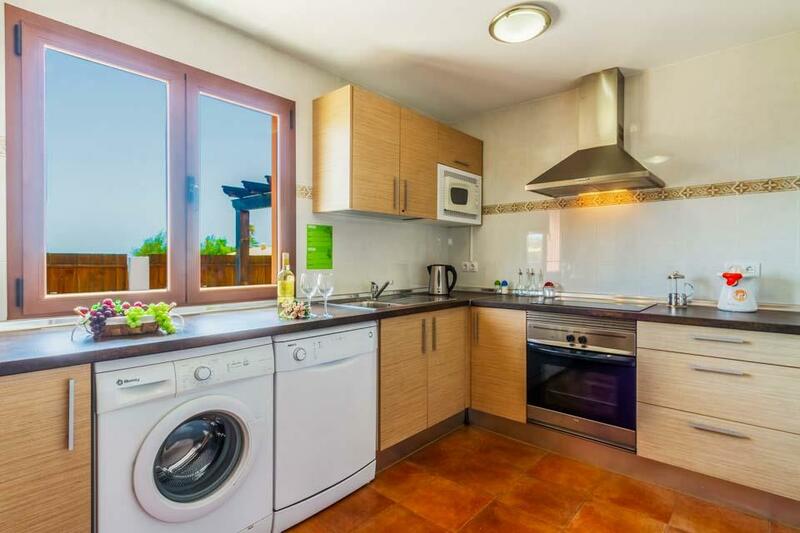 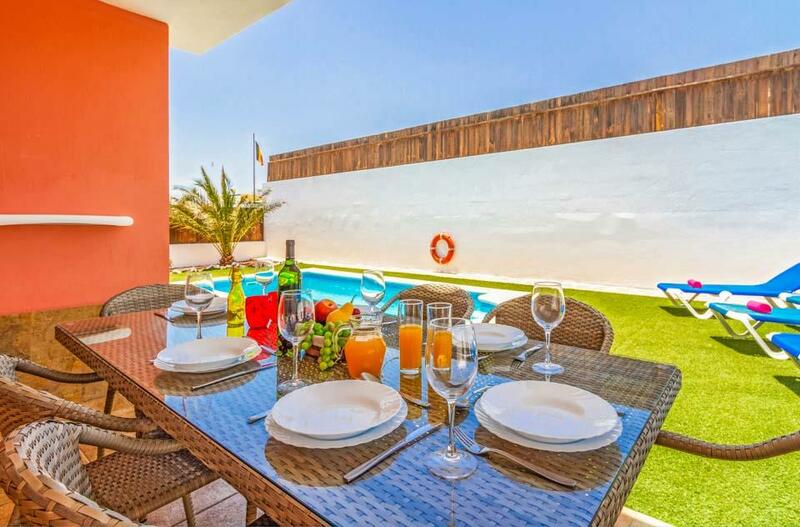 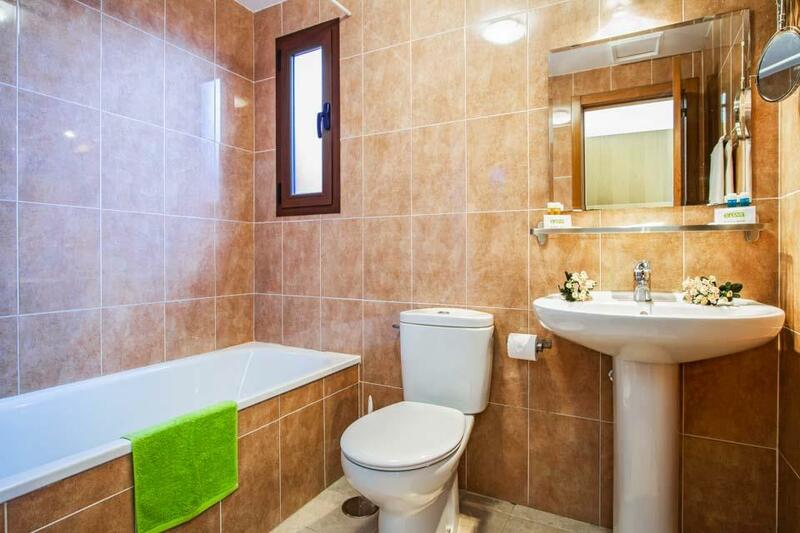 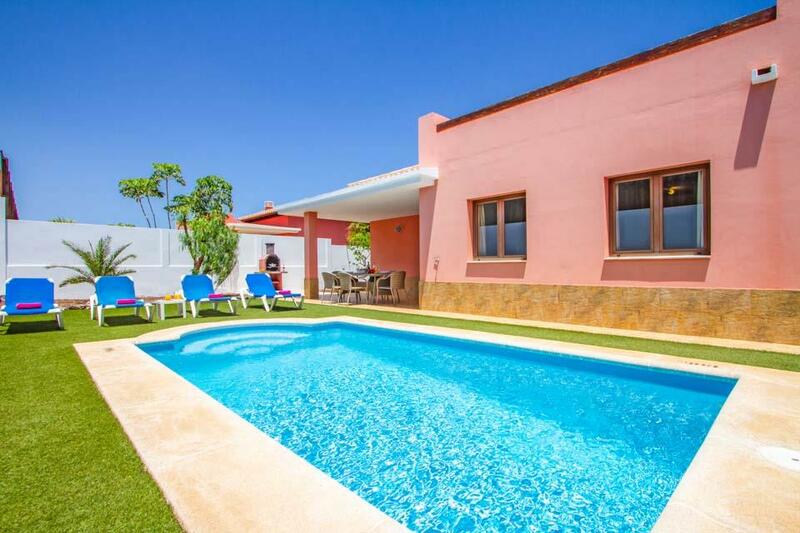 **Save up to 25% by arriving and departing on the standard changeover day**Villa La Estancia is a modern and detached three bedroom, two bathroom villa located near to the amenities and beaches of Caleta de Fuste. 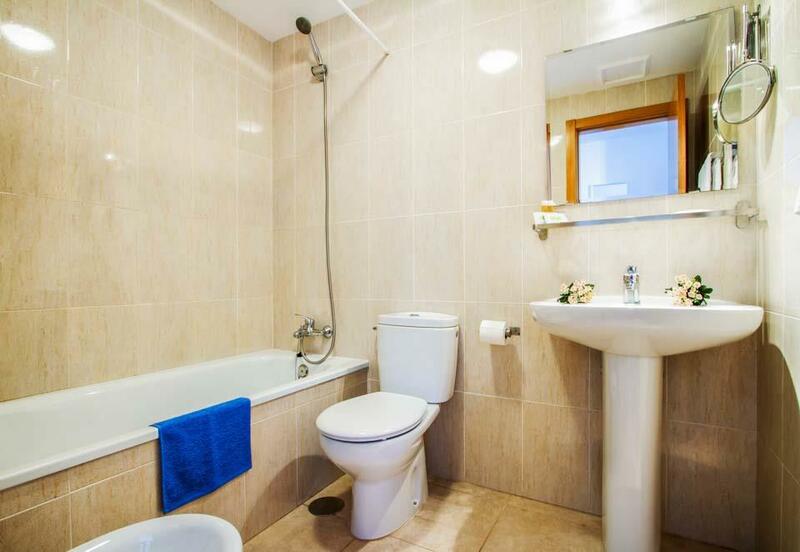 By having everything within walking distance,..